My name is Gilbert Le Blanc. I'm a double digit kyu player in the United States, Maryland, north of Baltimore. I’ve been playing Go for almost thirty years, but I started playing seriously in 2000 when I discovered the IGS server. I play exclusively on KGS.  My user name is GilbertLB. I play for fun and enjoyment. My current (February 2008) ranking is 10k on KGS. I like to play handicap games. I’ll give or take six stones for a rated game, nine stones for a free game. I enjoy interesting games the most. I define interesting as a game where the final score is within 20 points, including komi. I don’t enjoy winning by a large amount, and I especially don’t enjoy losing by a large amount. Some people feel that they are doing the weaker player a favor when they play an even game with someone much weaker than themselves. I’m sorry, but I disagree. I already know that there are thousands of Go players that play better than me. If you want to teach, offer a teaching game and be prepared to spend time explaining your moves. Slaughtering a weaker player is not teaching. I’ve been the loser in way too many slaughter games. All slaughter games do is irritate me and drive beginners away from the game. I feel that a person who plays an even game with the intention of slaughtering them is a punk and disrespects the traditions of Go. I enjoy watching dan players play. I’ll never play at that level, but I have fun at my double digit kyu level. I’ve tried reading books and having better players teach me, but I don’t improve. I don’t care whether or not I improve. Since I’ve been playing Go on the computer, I really don't want to play with a board and stones again. I like how even and orderly the stones are on a computer board, and I like the automatic counting.